Police officers arrived on the scene of a two-story brick apartment building on the city’s South Side Monday morning at about 1 a.m. When they entered the apartment, they found emergency medical responders with an 11-year-old boy who had a massive head injury, ABC7 in Chicago reported on Monday. The Chicago Medical Examiners Office ruled the death to be a homicide caused by a single gunshot wound to the head, police reported. The medical examiner identified the boy as Jechon Anderson. An official reported that investigators worked the crime scene for nearly six hours as they attempted to find clues as to who shot the boy. Police made no arrests and filed no charges. Investigators are only saying they are looking into all possible motives for the shooting, including domestic violence. 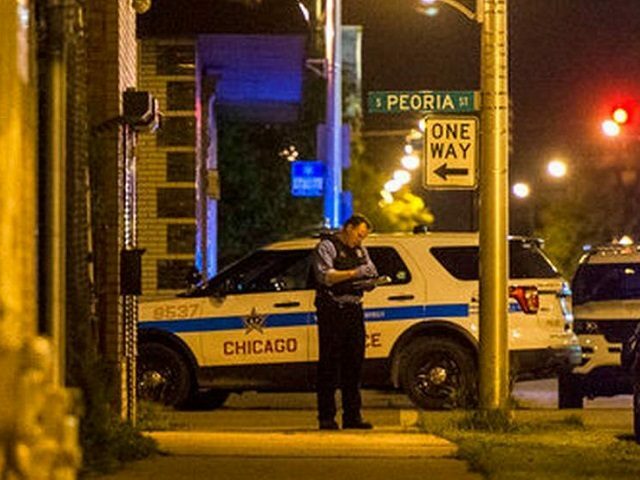 More than 30 people were shot in the Chicago area in the first four days of June, Breitbart Texas reported. Anderson’s death marks the second of the month. About 23 hours before Anderson’s murder, 35-year-old former assistant football coach Ari Armour became the first shooting homicide death of the month. Officials said the passengers of an SUV opened fire on Armour, striking him in the head and back. The Cook County medical examiner pronounced him dead at the scene. The victim worked as a security guard and assistant football coach at Hubbard High School, family members told ABC 7 in Chicago. The author of a children’s book left two of his own behind. In total, it appears 32 people were shot between June 1 and 4 resulting in two deaths.